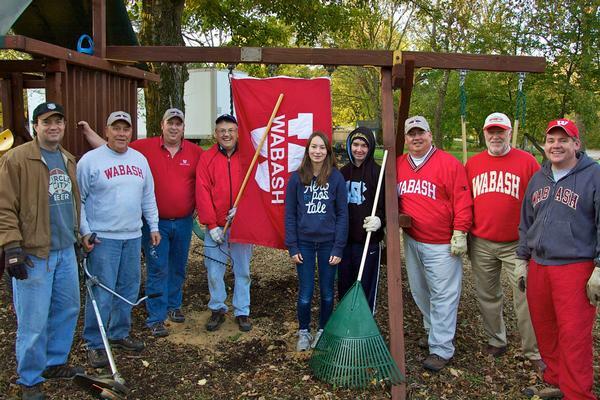 Wabash men gathered at more than 30 sites across the country this weekend to do community service and make their towns a better place to live. The seventh annual Wabash Day featured events big and small that helped improve the quality of life for someone. 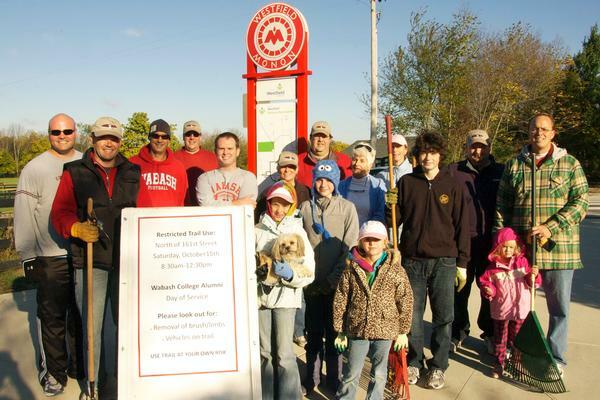 Wabash alums and friends gathered along the shores of Lake Michigan in Chicago for a clean up effort. Lee Cline '66 led four alums in Mississippi at a local animal clinic clean up project. Not only did those Wabash men provide much needed labor but they were thrilled to report six adoptions were finalized during the morning hours. Eight Wabash men, friends and family worked at a food bank in Dallas, Texas. Over in Austin, two Wabash graduated offered a helping hand to a food bank. 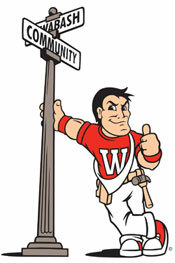 Maybe there was no better example of Wabash spirit than in Kansas City where Michael Cummings '86 was expecting a nice turnout this year much like previous Wabash Days. Several alums had to cancel at the last minute but Michael worked by himself at Harvester's Food Network in true Little Giant spirit. Even small groups can have a big impact. A handful of Wabash workers painted a second floor interior for the Mapleton-Fall Creek Housing Corp. in Indianapolis. See photos from that project here. Another Indianapolis site - Second Helpings - feature Wabash men in aprons cutting hundreds of potatoes. See photographs here from that project. In Madison, Wisconsin, grads from 2006 and 2010 cleaned an apartment at an emergency shelter. Zionsville alums had enough volunteers and workers for two different projects. The first group worked with Therapeutic Riding of Zionsville that offers equine-assisted therapy services to a wide range of participants with physical, mental and/or emotional disabilities. Another Zionsville group of alums worked on baseball fields at the Zionsville Boys and Girls Club. 2011 Wabash Day - Lafayette, IN. 2011 Wabash Day - Knoxville, TN. 2011 Wabash Day - Madison, Wi. 2011 Wabash Day - Greenfield, In.